Spring is finally here and it has my warm weather loving self so happy. This is by far my favorite season of all. So when I had the opportunity to partner with Stage Stores for a Spring porch refresh I was super excited! 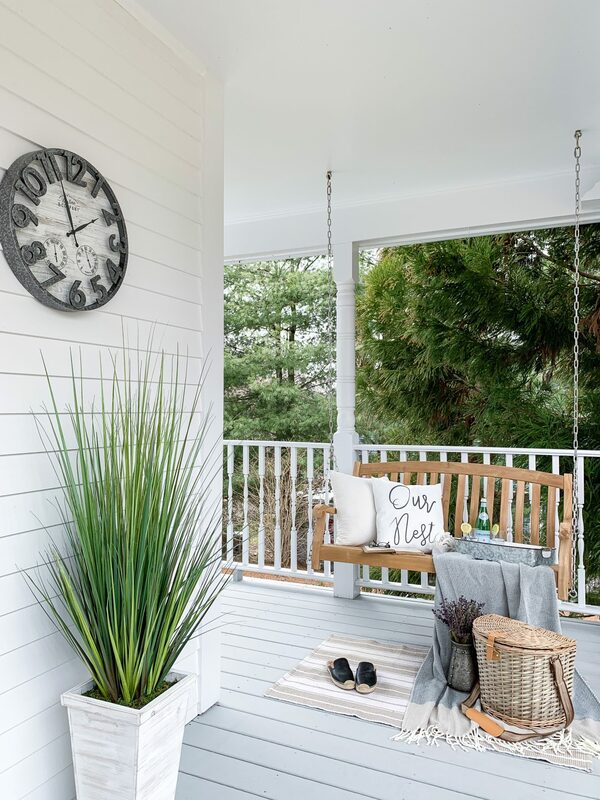 New England weather can be quite finicky this time of year, but after a long winter we make it a point to take advantage of every bit of sunshine and warmth Springtime brings. 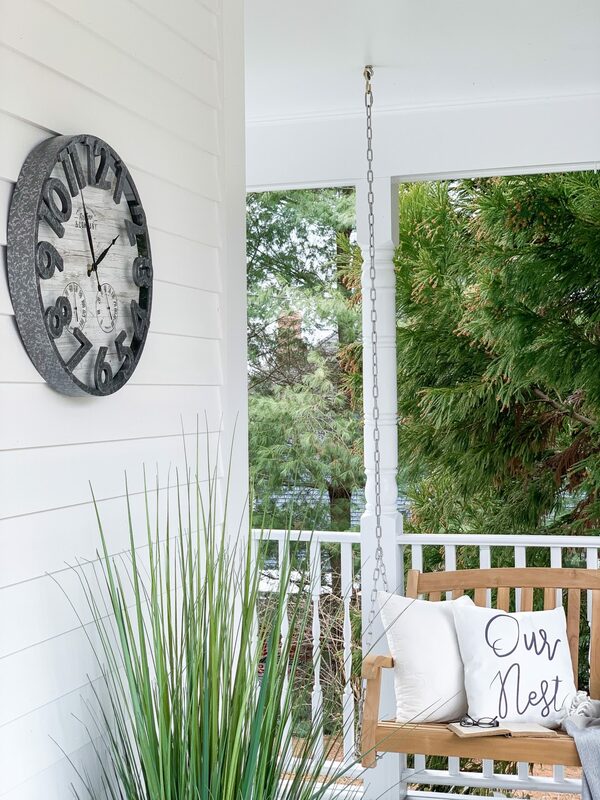 We love spending time out on the porch and had already started making some changes once March 20th hit (I love to rush the seasons) and adding a bit of Spring decor with Stage Stores was such a treat. The Stage Family of stores is expanding their home selection and has great price points. What I love about Stage is that its a one stop shop! You’ll find all you need from furniture, accents, and decor. Plus they are constantly updating their inventory with new styles and designer home products. Did I mention the prices are super attractive! We all love a good deal and Stage offers just that plus frequently has amazing sales. 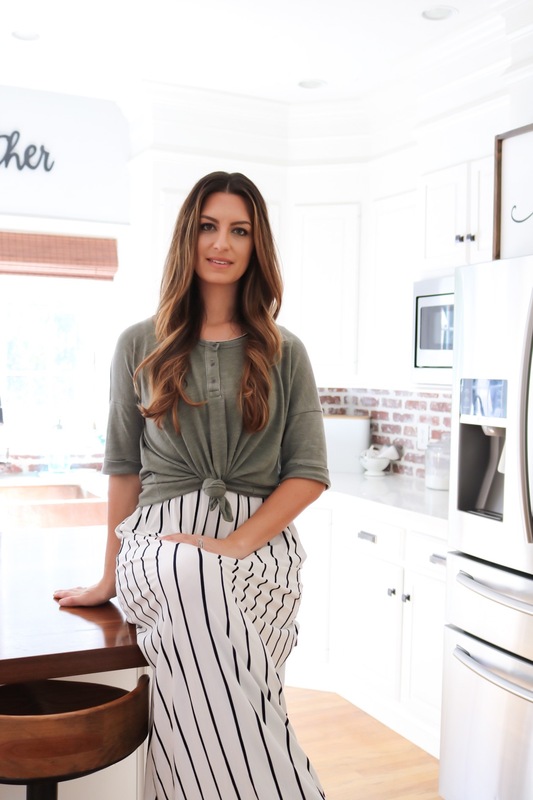 Now, I’m a farmhouse girl at heart so their Farmhouse Living line definitely called to me. But they offer a wide variety of styles, like Coastal View and Tropical Glam. I spotted some super fun items from both of those lines too! But let me show you the farmhouse goodies I found! 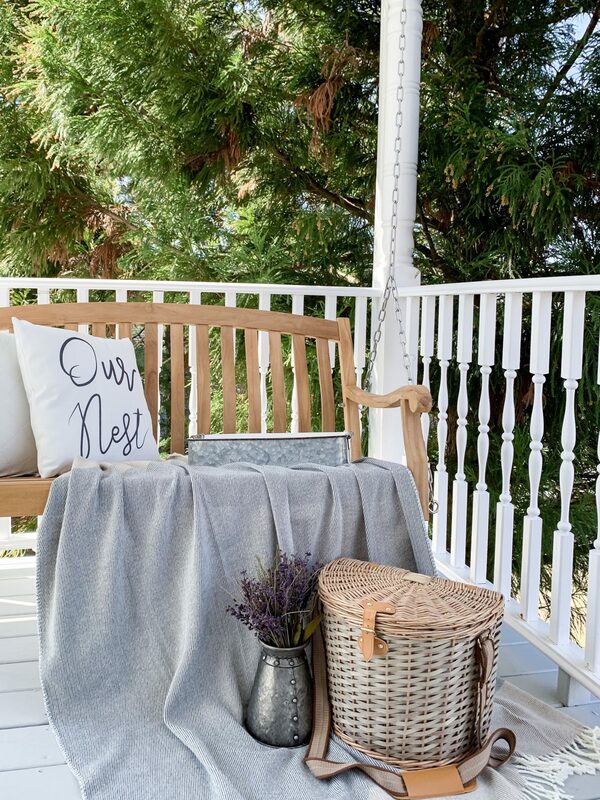 First, and I think my favorite and most important piece for a Spring porch in New England is the amazingly soft color block throw blanket. Its cozy and lightweight making it the perfect piece for staying warm on those cool Spring days. And its available in multiple colors so if you’re wanting to add a pop of color choose the yellow or blue; both equally as gorgeous as the neutral one I chose. 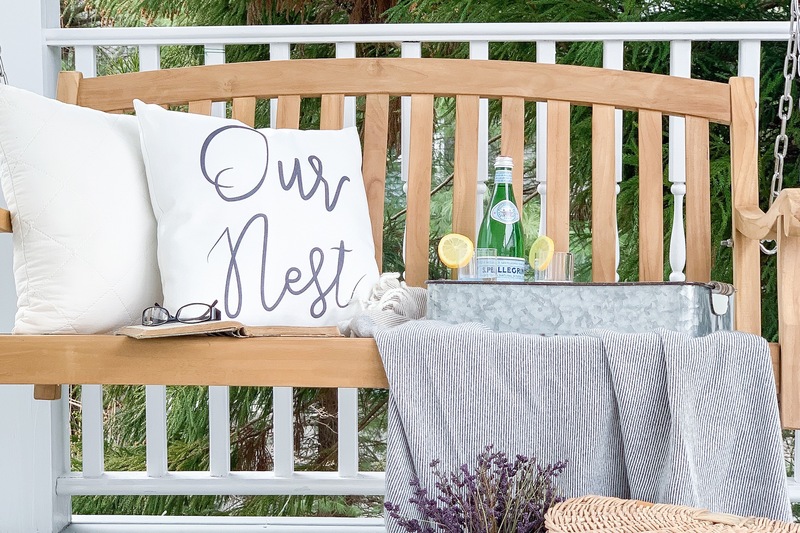 You can’t have a cozy porch without some fun throw pillows. Changing out the pillows is an easy and inexpensive way to freshen up a space or add a seasonal touch. This Our Nest and quilted pillows I’ve added scream farmhouse. Stage also has a really cute Fresh Baked Pie’s pillow I had my eye on. It’d be the perfect addition to a country home! 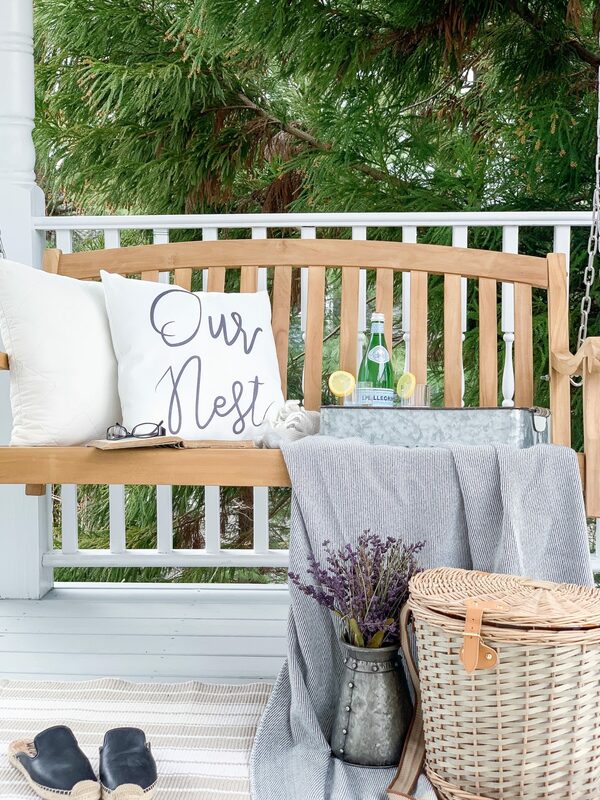 Pillows and blankets are my love language but I found so many other great items to give our porch a lived in feel. I’d be lying if I said I didn’t have an obsession with clocks. 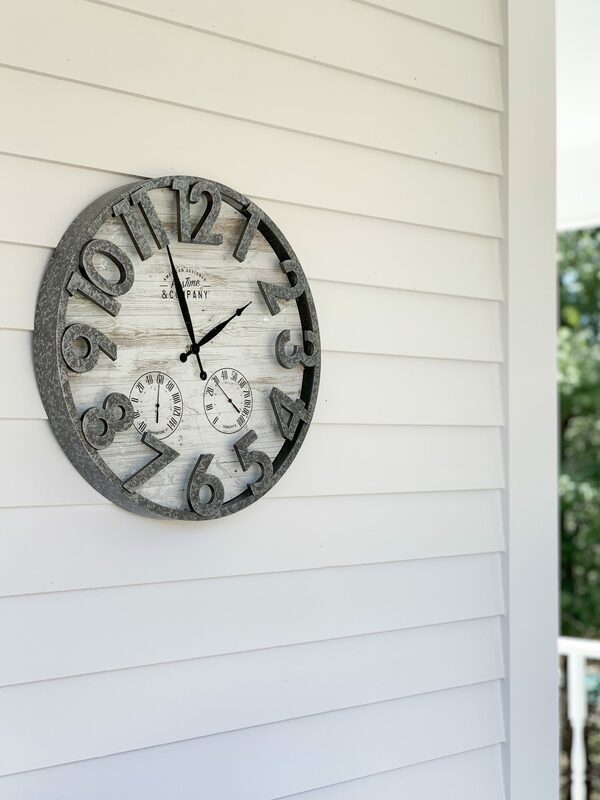 So when I found this galvanized shiplap clock it was a must. We all need to know the time right?! Clocks are a great way to fill up wall space. 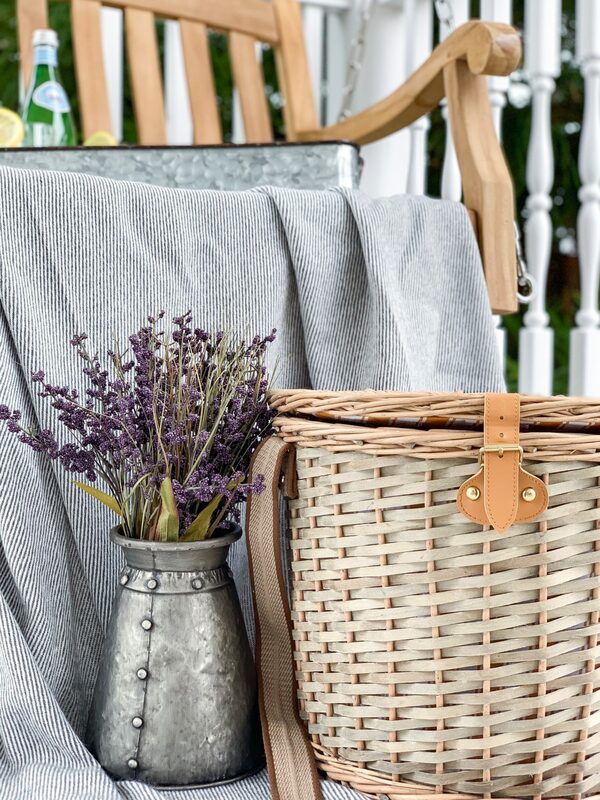 Galvanized accents are a great way to add a farmhouse touch to your decor. 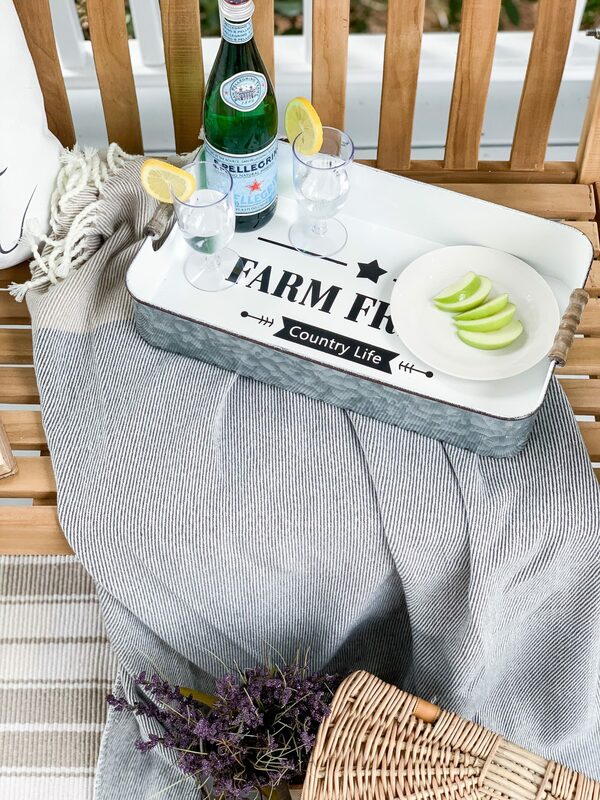 The Farm Fresh metal tray is super practical and stylish to use as a serving tray. 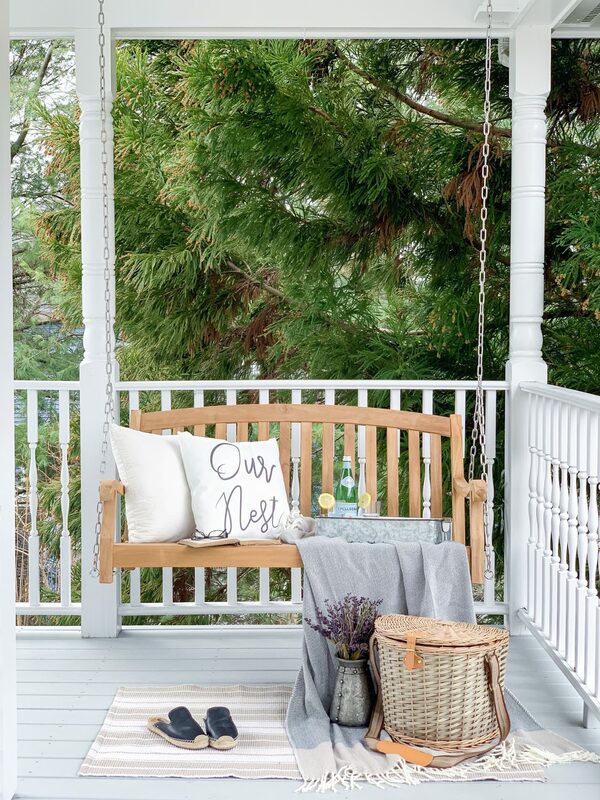 You can’t have a farmhouse porch without lemon aid, can you? This is a great way to serve up some fun drinks and snacks. And the galvanized vase is a really pretty compliment to the clock and tray. I’ve been saving the most fun item for last. 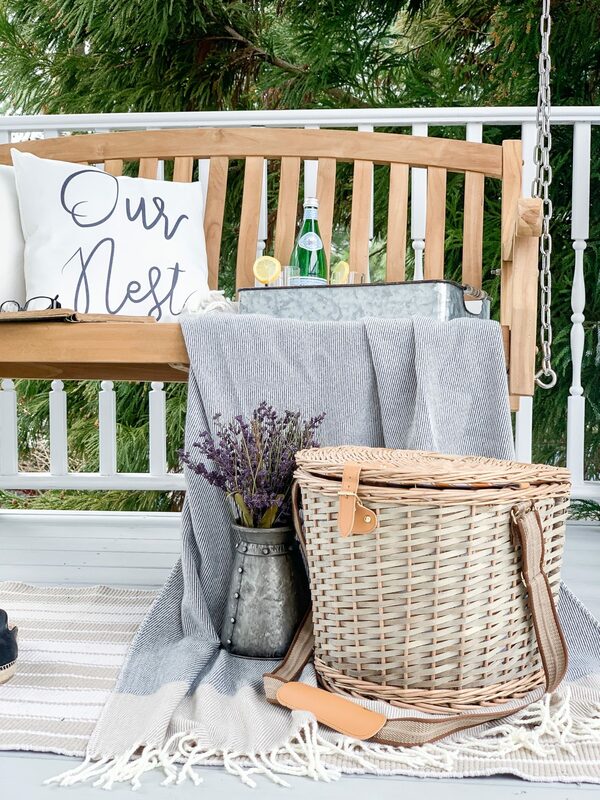 I think I’ve dreamed of this picnic basket since I was a little girl. 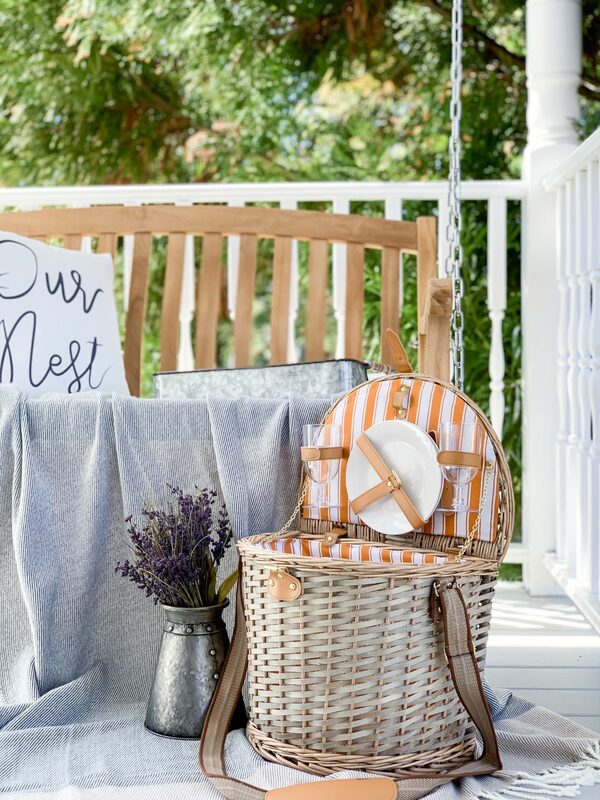 I know my daughters will love packing fun snacks in this for a little porch picnic. The yellow striped detail on the interior is just darling. 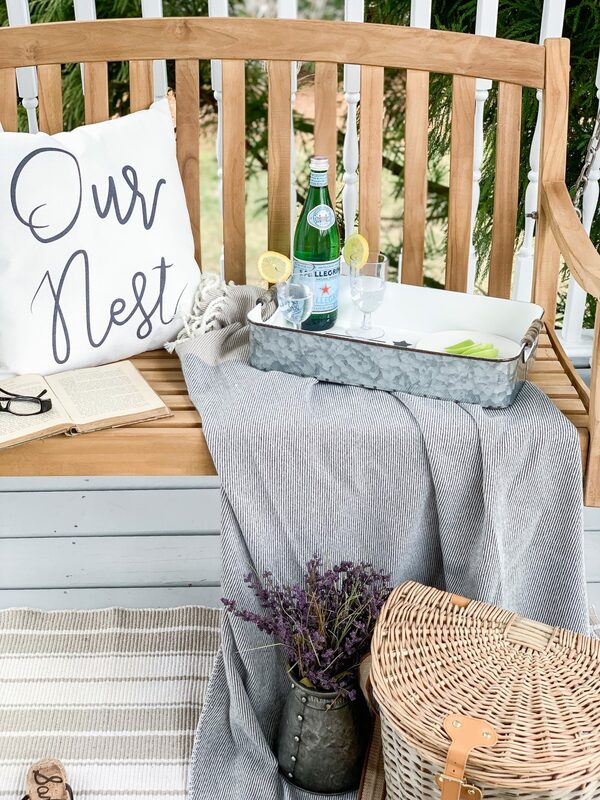 Add your favorite treats and a bottle of wine or sparkling water and you’re all set for the perfect Springtime picnic. 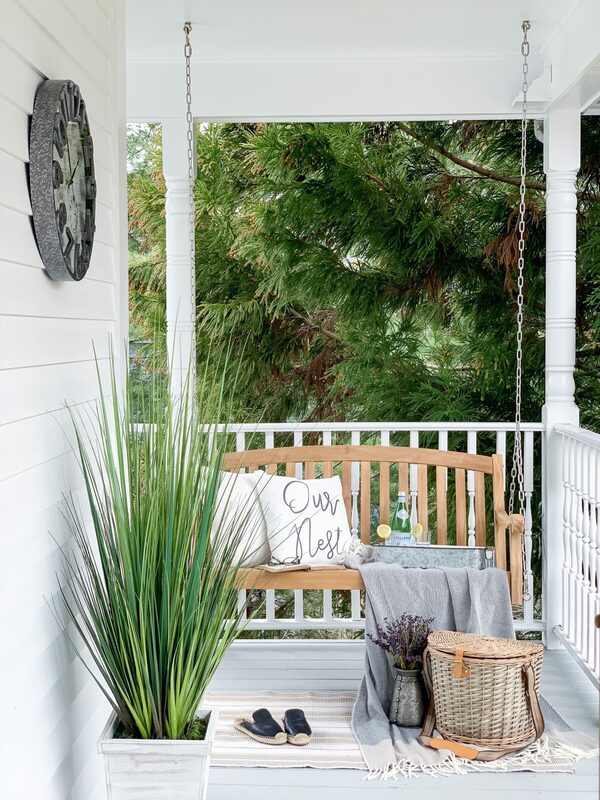 I had such a great time shopping Stage Stores for this porch refresh. They have all the things and more. Be sure to check out there online selection here.